Ebay - "pursue your passion"
I was just pursuing what I enjoyed doing. I mean, I was pursuing my passion. It is not really work if you are having fun…that was the case with me. A lot of people don’t just go ahead and try things. They’ll have an idea and they’ll say – they’ll convince themselves or other people will convince them that it can’t be done… the first is even more dangerous and serious. It’s convincing yourself that it can’t be done. I just kind of had this naïve approach to – well, gee, you know, why not. I’ll just go ahead and do it. Like most software people, it is very much passion more than anything else. The ability to create software that could have a benefit or an impact on people that used it was what was driving me. I was just very excited about learning everything I could about it. You should pursue your passion. If you’re passionate about something and you work hard, then I think you will be successful. One of the things that I repeat probably every day here is that our success is built on our community’s success. You have to really believe in what you’re doing, be passionate enough about it so that you will put in the hours and hard work that it takes to actually succeed there, and then you’ll be successful. You’ll fail at some things – that’s a learning experience that you need so that you can take that on to the next experience. What you learn from those challenges and those failures are what will get you past the next ones…I was the pretty consistent bull and the cheerleader on eBay actually. Even after that, they come back and they say, ‘Okay, well, we know you’re doing your best. We’re with you.’ And so I’ve always had this unshakable faith that it’s going to endure. I think failure of that magnitude, or a challenge of that magnitude, is really important and I’m glad that we faced it so early in our evolution. You know, what we used to say around here was that it’s a different company every three months. And that’s really the Internet business. It’s so fast moving that three years, it might as well be 30 years in any other industry. So it has been very, wild ride. I think those challenges are really critical and really important. What you learn from them is, of course, kind of what they say, ‘If it doesn’t kill you, it makes you stronger,’ and it’s true. And what you learn from those challenges and those failures are what will get you past the next ones. I just knew that there’s just nothing that can happen that can make it go away. Whatever future you’re building, don’t try to program everything. Five Year Plans never worked for the Soviet Union – in fact, if anything, central planning contributed to its fall. Chances are, central planning won’t work any better for any of us. 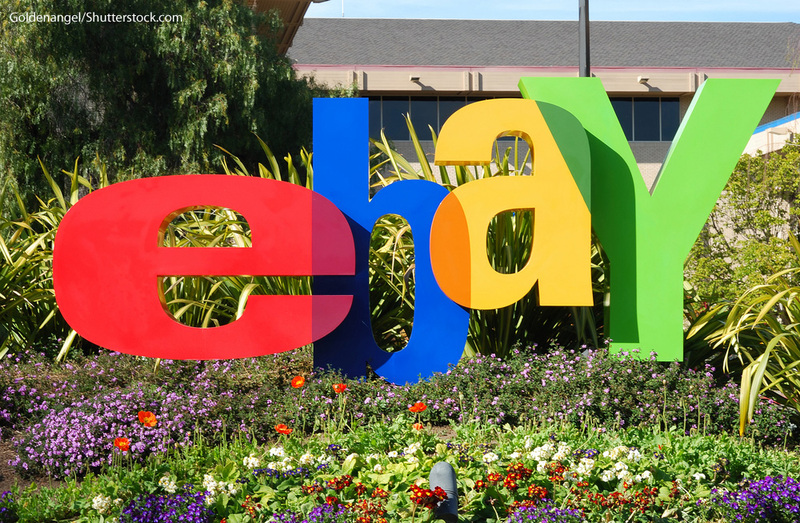 By building a simple system, with just a few guiding principles, eBay was open to organic growth – it could achieve a certain degree of self-organization. Build a platform – prepare for the unexpected…you’ll know you’re successful when the platform you’ve built serves you in unexpected ways. To truly prepare for the unexpected, you’ve got to position yourself to keep a couple of options open so when the door of opportunity opens, you’re close enough to squeeze through. We all face the temptation freeze-frame the past, and project it into the future. So as a software engineer, you learn to strive for a certain flexibility in design. You learn to avoid being locked in to a single solution – to build a platform that can be used for a number of purposes. The Internet is changing everything, and has changed the world in such a short period of time, and will continue to change things in very positive ways that we have yet to anticipate. I’m very excited by the prospect of what we haven’t seen yet. I founded the company on the notion that people were basically good and that if you give them the benefit of the doubt you’re rarely disappointed. So the only thing you can do is have a certain set of values that you encourage people to adopt and the only way your customers are going to adopt those values is if they see that you’re living those values as well. It’s all about treating each other the way you want to be treated yourself so that you can do business with one another. We have to do it internally at eBay at the company as well, because if we don’t then eventually that seeps through, and customers will see that and that will harm our business. So our business is based on that. Nice guys, a responsible company that has its heart in the right place – that’s run by real human beings – it has to be successful, because if we weren’t that way, eBay would not be successful. eBay wouldn’t exist. It would not be possible. I wouldn’t be having as much fun. That’s for sure. What would happen within a marketplace if everyone had equal access to information and tools?. Would a level playing field enable individuals to compete alongside big businesses? What if members managed their own transactions and accountability? I’ve got a passion for solving a problem that I think I can solve in a new way. Not the difficult problems that some of the physicists that are here, for example, are talking about, but problems that seem easily solvable, that no one has bothered to attack because they think it’s impossible. Don’t let people who you may respect and who you believe know what they’re talking about, don’t let them tell you it can’t be done because often they will tell you it can’t be done, and it’s just because they don’t have the courage to try. You’re able to accomplish anything you set out to accomplish. There weren’t a lot of kids around, and when I was younger I ended up hanging out with adults a lot more, because I had to. I kind of grew up very quickly and became a little more mature more quickly than I see some of my relatives these days. The interesting thing was, I started eBay off as a hobby so it was free of charge. I was actually interested in gadgets, little electronic gadgets. I always managed to break them for one reason or another, of course, as kids do, and then I would take them apart and try to fix them, which I was never able to. I was one of these guys that didn’t really study, so I don’t think I was a good student. I used to actually cut gym and sneak into the computer room – which wasn’t really a room, it was a closet where they kept the computer between classes – and played on the computer. During my entire four years there at Tufts my GPA improved every single semester, which gives you an idea of where I started. People were doing business with one another through the Internet already, through bulletin boards. But on the Web, we could make it interactive, we could create an auction, we could create a real marketplace. And that’s really what triggered my imagination, if you will, and that’s what I did. The personal wealth that’s coming is absolutely secondary to the stories that I hear about our users who have given themselves some financial independence as well by starting businesses, and all the lives we’ve touched positively. When you look at the accomplishments of accomplished people and you say, “Boy, that must have been really hard,”…that was probably hard. And conversely, when you look at something that looks easy, that was probably hard. And so you’re never going to know which is which until you actually go out and do it. I want people to be entrepreneurs, but I want them to do it for the right reasons, because they think they can change the world, because they think they have got something of value to give to the world. Not because they think they can make a lot of money. …give the individual the power to be a producer as well as a consumer. Fundamentally, everything we do in human activities is related to trade and there’s something, I think, that’s wired in human beings that drives us to commerce. But you know, so very, very quickly, I learned that it was actually the human element that was really driving it more than the commerce. People naturally gravitate towards eBay because it’s the largest marketplace. We’re the original. We’ve been around the longest and so far, we’ve been able to hold our own. You can’t predict growth and success – no one in their right mind would predict 30 percent monthly growth for another year every year. Be an enzyme – a catalyst for change. As a slogan, I don’t know if that’s ever going to be right up there with Ich Bin Ein Berliner, or “I Have A Dream,” but there’s a lot of truth to it. I think it is exciting to see what kinds of ideas they will come up with, things the world has never seen before. That is what I’m waiting for. We believe that business can be a tool for social good, … Microfinance has already shown that enabling the poor to empower themselves economically can be good business.